It is argued that people watch television to acquire knowledge about science, history and wildlife while others believe that it is mainly used as a mode of entertainment. While TV shows are helpful for learning information about different fields, I believe that the majority of people use it to watch movies and dramas. On the one hand, television is plays a vital role in imparting knowledge about science and history. This is because there are channels that broadcast shows related to inventions in the field of science and medicine. It therefore can be seen as a vast source of information. For example, channels, such as discovery and national geographic, are quite popular among people who enjoy learning about scientific discoveries and wildlife. However, it can be argued that very few people are interested in watching these types of shows. On the other hand, there are those who believe that TV is a good source of entertainment. This is because the majority of people love watching movies, comedy shows and dramas on television in their leisure time to relax. 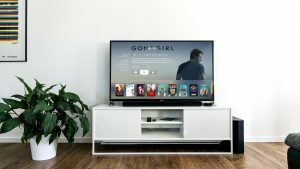 For example, a recent survey by Times Magazine found that the number of the channels broadcasting movies and music videos is 30% higher as compared to the other channels that show series and documentaries based on educational information. I believe that this school of thought is preferable as most of individuals are interested in watching TV shows for relaxation. In conclusion, although there are a variety of programs available on television that impart knowledge, I believe that the primary purpose of watching television is enjoyment as most people use it to relax. Previous Post Being a celebrity- such as a famous film star or sports personality brings problems as well as benefits. Do you think that being a celebrity brings more benefits or more problems?